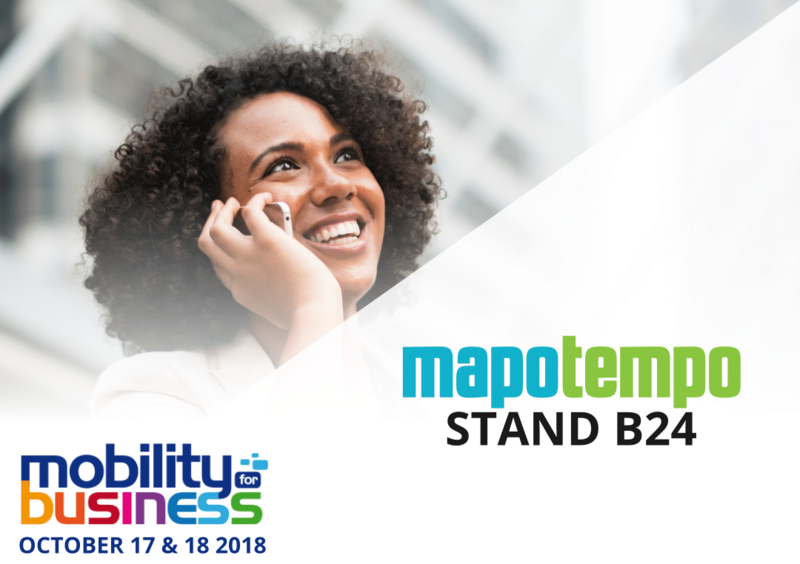 Optimized route, AI, predictive maintenance, IoT, MtoM, BYOD, mobile ERP, all these trends will be in the spotlight for this 8th edition of Mobility for Business. These innovations are transforming working methods and impacting all professionnals: sales representatives, technicians, delivery workers, managers, local agents, etc. These professionals require more than ever that mobility be connected, optimized and secured. 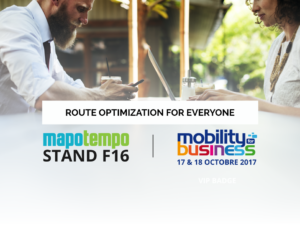 Mapotempo supports organizations to enable them to take advantage of these new trends during this essential event of professional mobility. Book your meeting with our team and receive your free VIP badge*. Start your project with our team who will accompany you: study on your data sets, open a test account, assign API test keys. * To make an appointment please indicate only yourbusiness contact information (phone, email) and specify your project in the field “message”. Indeed, before confirming your appointment and sending your VIP badge your request will be pre-processed by our team so that they can support you in your project.